When Utah legislators decided to make fighting the opioid crisis a top priority, they narrowed their focus to the geographic area with the most significant problem. "Even though you see a fair amount of homeless people on the street , it's nothing like what it was," Carlisle said. Phase two: With funding from the federal government, get addicts into treatment. That's where Randall Carlisle and the Odyssey House step in. "If we wouldn't have gotten that financial expansion, thanks to the federal government, we couldn't have dealt with these people," Carlisle said. "So the situation down there would be the same today as it was a couple of years ago." The task doesn't come cheap, requiring resources from the city, county, and state, but recovery centers say the progress is worth the price tag. Typical clients at Odyssey House see success rates between 62-64%, but those entering the program from Operation Rio Grande are seeing a completion rate of 74%. "Every one of them says, 'I was so sick and tired of living that way,'" Carlisle said. "We're no longer working separate than each other. We're now coming together, and we're tackling it together because it has affected our entire county," Sheriff Rivera said. Tracking their progress is another big part of the project. 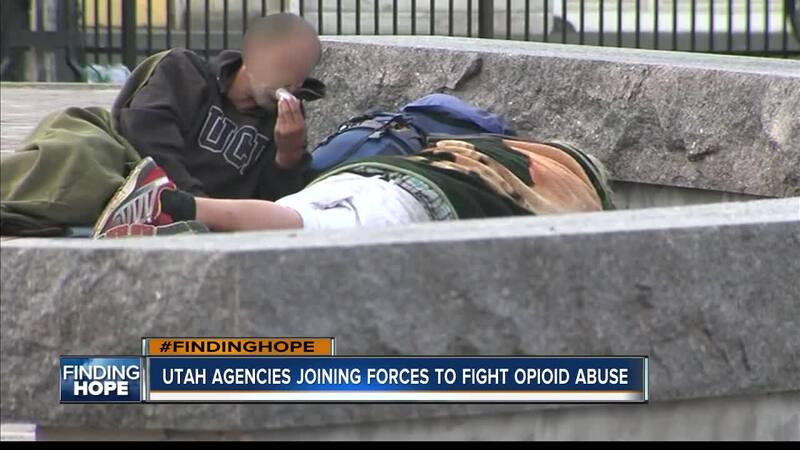 They've made thousands of arrests, and increased the number of monthly check-ins at Salt Lake City homeless shelters. So is a project like this something that could ever work in Boise? Next Monday night we'll dig deeper into how Utah lawmakers got the funding needed to expand access to treatment, nearly doubling the number of treatment beds available to those who need it.